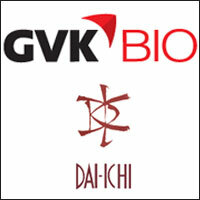 Contract research firm GVK Biosciences Pvt Ltd, which operates under the GVK BIO brand, has acquired the remaining 6.12 per cent stake held by Dai-ichi Karkaria Ltd in its subsidiary Inogent Laboratories for Rs 8.9 crore $1.5 million), as per a stock market disclosure. Inogent, based out of Hyderabad, was set up in June 2005 as a joint venture (JV) between GVK Biosciences and Dai-ichi Karkaria. Its operations are spread over a 17-acre campus and it is into process R&D and custom chemical synthesis & manufacturing services besides solutions related to APIs and intermediates to its clients. The latest deal is pursuant to a call option under the JV agreement now exercised by GVK Biosciences. Last September GVK Biosciences had acquired around 10 per cent more in Inogent from Dai-ichi Karkaria for Rs 8.5 crore, valuing the venture at Rs 85 crore. The latest transaction values Inogent at around Rs 145 crore. Earlier this year GVK Bio has signed an agreement to acquire Aragen Bioscience, a US-based privately held pre-clinical CRO specialising in biologics services, for an undisclosed amount. GVK BIO is a partnership between the GVK Group and DS Brar, former chief of Ranbaxy who led the pharma giant through its big growth and overseas expansion phase before quitting the firm to join GVK BIO as its promoter chairman in 2004.